Amazing! Astonishing!! A story as old as time : ) I savored this--really took my time to enjoy the experience. It is amazing to think that this work was written a thousand years ago. 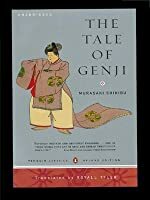 It is a collection of short but connected stories of the interactions of men and women in courtly Japanese society. It shows a world where art, music and calligraphy are highly valued accomplishments for both men and women. But it also shows us a society where the social standing of women is very fragile and subject to the fancies of the men around them.